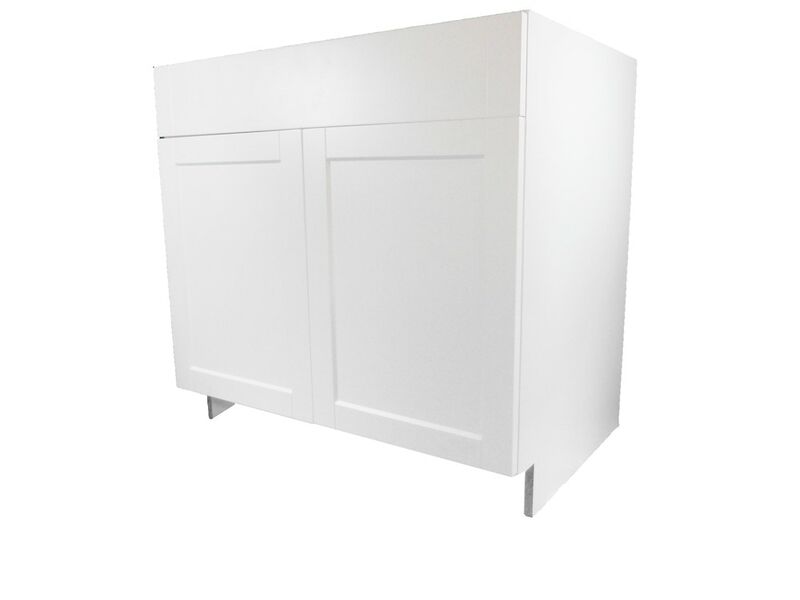 33" sink base cabinet with soft closing doors, sides are color matched to the door style. Constructed with 5/8" furniture grade melamine. The sink base comes with an open back to allow for easy installation of plumbing connections. Cabinet is constructed with steel cam and dowel system for solid strong construction. Spreader rails front and back are installed vertically to offer strong stability without restricting sink sizes or need for onsite modifications. Height: 34 3/4" Length: 23 5/8" Width: 33"